This book is designed for elementary and middle school mathematics methods courses and for K-8 mathematics teacher professional development programs. It describes a new cognitive mathematics teaching and learning method: Model–Strategy-Application (MSA) approach. The aim of this book is to help pre-service and in-service teachers develop deep pedagogical content knowledge in a structured and systematic manner, and supports them in teaching mathematics and assessing student thinking effectively. 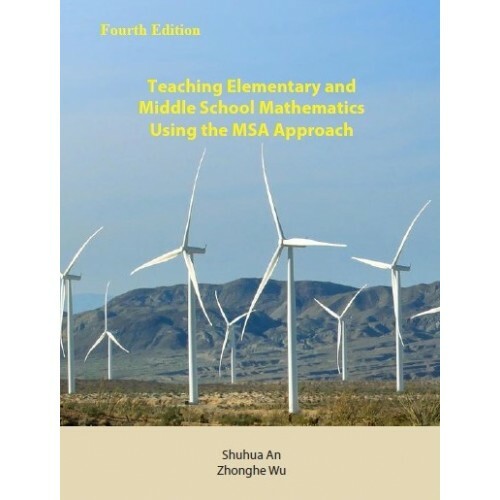 The book focuses on developing students’ mathematics proficiency in the three components of conceptual understanding, procedural fluency, and competence in word problem solving through the MSA approach in every content area. To help students learn a mathematics concept with deep understanding, a variety of concrete or visual models are developed to address the mathematics concept; to build fluency in procedure and computation corresponding to the concept, various computational strategies including basic and specific techniques are developed; to learn how to apply the conceptual understanding and strategies to word problem solving, applications of different types and levels of word problems are introduced. To show the effectiveness and importance of the MSA approach, this book addresses how to understand student thinking by discussing students’ actual representations and misconceptions and how to correct these misconception by using the MSA approach, as well as how to measure students’ understanding using different types of assessments. 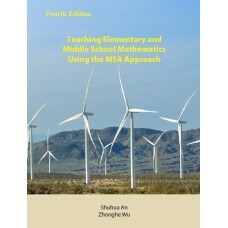 In addition, this book not only presents how to integrate technology in teaching mathematics and how to use children’s literature to engage students in active learning in each chapter, but also demonstrates how to build algebraic and geometric thinking, embedded in content areas throughout the book. Furthermore, to meet the needs of exceptional students in culturally and linguistically diverse mathematics classrooms, this book discusses how to design differentiated instruction using case studies and how to use hands-on activity to motivate students.